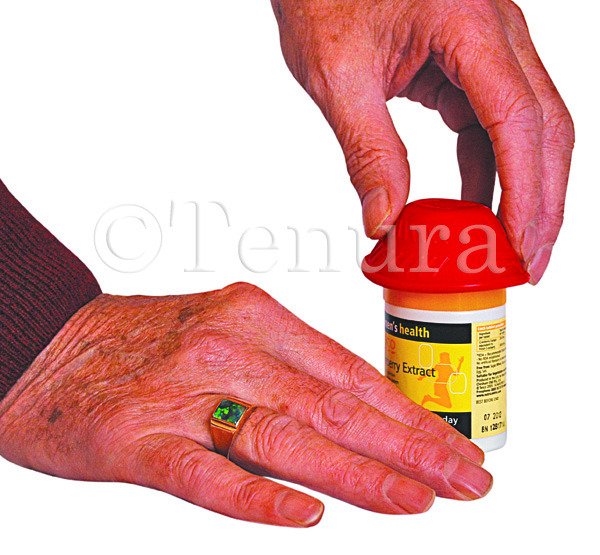 Tenura silicone rubber bottle openers are a handy independent living aid that has many different uses. This product has been constructed to increase grip and comfort when trying to twist items open and closed, or open small containers. 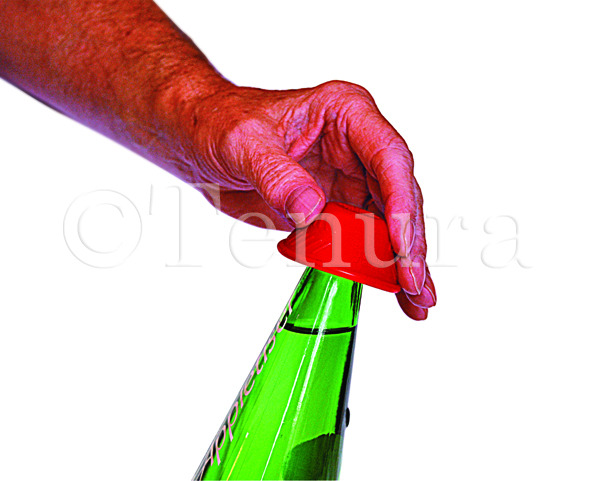 Tenura bottle openers are ideal for those who suffer from impairments such as Arthritis, as it will allow you to create a much stronger grip without the need for the same amount of pressure or force being used. This will help decrease pain and strain on muscles and joints! As you never would have guessed, this product is ideal for opening bottle tops and lids! By placing this product onto the bottles lid, it will increase grip and comfort, allowing you to twist the cap open and closed much more easily. This can make day to day tasks such as getting you a drink a much easier process. Those who suffer from degenerative diseases like arthritis can struggle with small tasks such as these due to the limited movement they have or the pain small and precise movements can cause. Tenura bottle openers can help to make everyday living easier. Bottle openers are also non-toxic and phthalate free, meaning they can be used anywhere, without the worry of possible contamination of food and liquids! Taps can sometimes be a struggle to turn on and off, creating a problem every time you want to run the tap. Luckily, Tenura bottle openers fit very nicely around most taps in the house and can prove an effective tool when turning taps on and off. This is thanks to the strong non slip grip this product can create, allowing taps to be turned on and off easier than before by increasing grip and easing pain from joints and muscles. This is all thanks to its non-slip silicone construction. Medicine bottles and containers have always proven difficult for the able bodied! The “child safe” lock on the bottle becomes more and more of a challenge to get open whether a child or an adult. I know for a fact I still struggle with them! These containers can prove even more difficult for those with grip problems, making a simple task much harder. The Tenura bottle opener will allow you to get a firm grip on these containers allowing you to press and twist with ease, without the same level of force needed to twist open! No longer will the child safe locks or tight seals prove to be the same difficulty, vitamins and medications will be easy to take again, allowing you to continue your day to day life. Tenura bottle openers are a great help with day to day tasks, allowing you to easily twist open and use many objects which could otherwise prove quite a task. For more information regarding Bottle openers, or the rest of Tenura’s daily living aids, please visit the website! Posted in Arthritis Aids, Assisted Living, Daily Living Aids, Independent Living on 7th December 2015 .